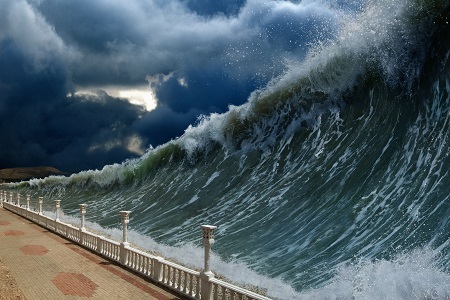 The Humira Biosimilar Tsunami Cometh: What Can We Expect? The biosimilar industry is bracing for an exciting and unprecedented event in the upcoming weeks: the launch of not one, but several Humira biosimilars in the EU starting mid-October, 2018. Companies entering the market in this first wave, and in any future waves, will not only face immediate competition but will also need to prepare for a variety of different reimbursement systems, stakeholder education levels, and pricing challenges. To get a better sense of what we should be expecting and looking out for come October, I reached out to Jorge Santos da Silva, partner, and Jennifer Heller, associate partner, who lead McKinsey & Company’s global services on biosimilars. In the first segment of this two-part Q&A article, da Silva and Heller share their perspectives on the EU market potential for Humira biosimilars, which markets they expect will be most dynamic from a competition standpoint, and what Humira biosimilar players can learn from previous tumor necrosis factor (TNF) biosimilar launches. Anna Rose Welch: Which candidates are lining up to be the central players in October’s launches, and who is expected to be in the second wave in 2019? Jorge Santos da Silva & Jennifer Heller: Currently, there are six products approved by the European Medicines Agency (EMA) from Amgen, Samsung Bioepis, Boehringer Ingelheim, and the most recently approved Sandoz products. All of the companies up-to-bat are large and have proven track records competing in biosimilars in Europe (Sandoz, Samsung Bioepis/Biogen) or have vast experience in biologics in general (BI, Amgen). More pre-clinical programs are underway, including those of experienced player Celltrion, which is pursuing the high-concentration version of adalimumab (CT-P17). Taken together with the development of the subcutaneous (SC) version of Remsima, we should expect life cycle management (LCM) approaches to individual products and product classes to be an element of further differentiation amongst products coming to the market. Welch: What is the market potential in the EU for Humira biosimilars, and which countries do you expect to see the greatest amount of competition amongst the biosimilar companies? da Silva & Heller: The Humira brand is worth about USD $20 billion globally as of mid-2018. Europe accounts for about 20 percent of that total (in value), which is the equivalent of USD $3 billion in the EU-5 (France, Germany, Spain, Italy, U.K.). So, the potential, compared to other biosimilars in Europe, is very significant. If we use a rough blend of the average penetration of infliximab across European countries, with higher penetrations in volume in the U.K. and Italy (versus France or Germany), let’s say the adalimumab biosimilar share can attain 30 percent of the market in two to three years. This is somewhere between the expected share reduction previously highlighted by AbbVie (a loss of 15 to 20 percent by the end of 2019) and the higher-than-expected shares achieved by Remicade biosimilars overall (around 40 percent). Therefore, we are still talking about the equivalent to a potential market value of USD $1 billion to $1.2 billion. With a price reduction of 15 to 20 percent versus current value (i.e., something closer to the net price) we would still be looking at an equivalent of USD $0.8 to $1 billion over the next two to three years. From our experience in the market, we’ve heard physicians predicting between a quarter and half of the market to go to Humira biosimilars 12 to 18 months into the launches. This is obviously quite attractive on paper. However, getting there won’t be for the faint of heart. This will involve competing out the Humira brand, differentiating enough and surviving in a market with at least five other adalimumab biosimilars, and maintaining price/volume and rebate discipline that preserves the social and systemic mission biosimilars are supposed to play. All of this will need to be mastered regardless of the health systems’ efforts to increase biosimilar adoption. Welch: Are there specific countries where uptake will be critical or where biosimilars of the drug will be more in demand than others? da Silva & Heller: In this scenario, the EU-5 obviously play a major role, not only because they are larger countries, but they also define the momentum and “feeling” toward biosimilars. After all, many of the key influencers on the physician and the institutional side are in these countries. If we consider infliximab as a representative of the TNF class (despite the fact it is an infused product), the U.K. and Italy will be interesting grounds to see significant uptake, both in terms of share capture and overall treatment rate increases. But, in our view, it is also about creating a broader base and competing for volume. As such, smaller country markets like the Netherlands (NL), Belgium (BE), Austria, and Sweden, which have relatively higher prices, and countries like Poland or Portugal with relatively lower prices will be important to win. The whole “tender game” will, of course, play out in areas like the Nordics (outside of the EU-5), and that will be key to gaining important slices of volume. But this “tender game” will also test the limits of “pricing discipline” and “pricing sustainability.” All these countries, even if very different in nature, have seen biosimilars uptake increase over tie, albeit at different paces and with varying levels of success and “noise.” So overall demand for the adalimumab biosimilar is likely to be high. Clearly, the EU-5 and other countries (e.g., Nordics, NL, BE) where the relative treatment rate of, for example, non-mild Crohn’s disease or rheumatoid arthritis (RA), is high, will be under intense focus. In the tender markets (e.g., Norway), demand will naturally be high in waves given the changes in tenders every six to 24 months, depending on the country. As such, we will not see progressive volume shifts as we do with daily individual sales. Because of this, we should expect specific plays as we observed for other products (e.g., substantial price bidding on Omnitrope between biosimilar manufacturers and originator). In all, we suggest that companies focus on specific countries where they can win early (depending often on the experience-level of the company). But overall, we expect the adalimumab biosimilar rush to be a “battle” for Europe. Welch: What have we observed from the launches of the other anti-TNF agents/other biosimilars in the EU that can give us clues as to how Humira biosimilars will perform? da Silva & Heller: For infliximab biosimilars, we already have Inflectra, Remsima, and Flixabi on the market. Zessly from Sandoz is forthcoming. For etanercept biosimilars, we have Benepali and Erelzi, with more players expected in the next two years, potentially including Lupin, Mylan, Coherus, and Amgen. Pricing and rebates will of course be important (more on this in part 2 of this article). Other aspects that several stakeholders suggest as “major” include the payer’s influence, as well as the reimbursement system that will be used to drive increase adoption. This, along with the quality of clinical evidence, has been central in other launches. While it should be standard from the now well-established regulatory process for mAbs in Europe, it will likely still require a strong and concerted level of education and familiarization with the clinical packages. From our experience in the field with physicians, we feel that cost, payer attitude, clinical quality, and evidence are the typical success factors mentioned across specialties (though this does vary from specialty to specialty). Several other factors are important, though they’re perhaps not always immediately suggested by stakeholders as main drivers in previous launches. If we look at experiences with etanercept, as well as other “older” biosimilars like somatropin or follitropin, we have observed that ancillary aspects like the dosage form were key. In that sense, all adalimumab players entering the market have the prefilled syringe (PFS) and pen. All are offering the 40mg version. So how different the pen is from the current Humira pen and how easy it is to train patients to use it will be important. If the pen is “highly similar” (no pun intended), it will be easier to accept but harder to differentiate. A vastly “different” pen may be a change, but, if well researched, could open doors to different patient profiles or different specialists/indications. In this case, the dosage variations or the potentially dual brand options of Amgen (Amgevita/Solymbic) and Sandoz (Halimatoz/Hefiya) might also provide some differentiation options across indications. Another critical element of launch preparation and success in the market will be around the overall level of support provided to physicians, nurses, and patients. While this has been less relevant for infliximab, it certainly is a major value-add on the Humira side. This is illustrated by the continued investments AbbVie and Pfizer have made over time on their leading TNF products and the general perception at the “user end,” which has been very positive. How much support can be provided for a biosimilar, while simultaneously looking to differentiate and keep profitability under a stricter pricing band, is a question that has occupied many minds during the launch preparations. Clearly, from the long-term learnings of the biosimilar industry in Europe, it will be key to strike a balance between cost, product usability for physicians, nurses, and patients (dosage, injectors etc. ), and the right level of medical and scientific reach to ensure all stakeholders are aligned on the quality and safety of the product. It will not be different for the adalimumab biosimilars. But there will be the added challenge of more factors at play and many biosimilar company financial models attributing great value generation to Humira. As such, any drops in expected market performance will have high impact. Stay tuned for part 2, in which da Silva and Heller unpack best- and worst-case pricing scenarios, their biggest market concerns, and what companies should be looking out for as these products take root in the EU.